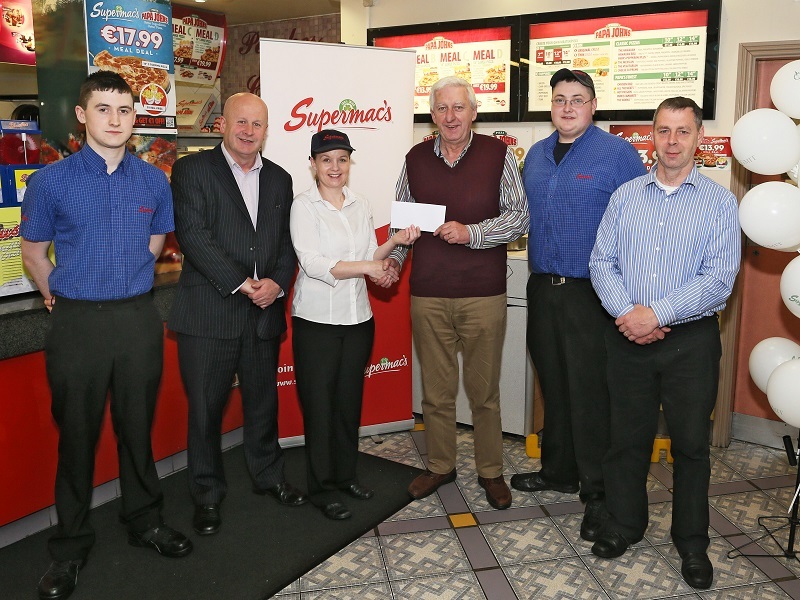 Joan Collins, Supermacs Castlebar (Franchise), presenting sponsorship to Ger Sheridan, treasurer Castlebar Mitchels Hurling Club, included from left ; Tony Stakelum, Chairman Castlebar Mitchels Hurling Club; John Lyons, Hurling committee, Eugene Connolly, and Mike Kelly, PRO. Joan Collins, Supermacs Castlebar (Franchisee), presenting sponsorship to Ger Sheridan, treasurer Castlebar Mitchels Hurling Club, included from left Dylan Collins, Supermacs; Tony Stakelum, Chairman Castlebar Mitchels Hurling Club; Gary Fahy, Supermacs and John Lyons, Hurling committee. Photo: © Michael Donnelly. 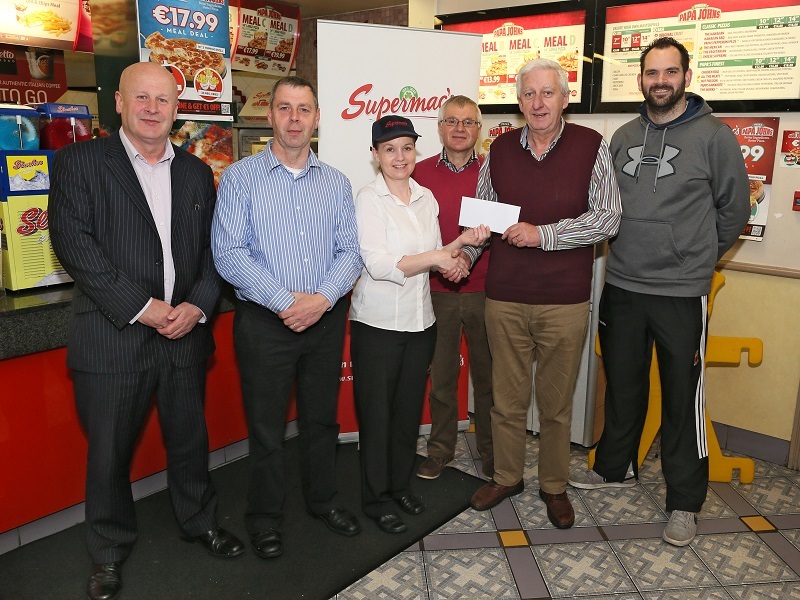 Joan Collins of Supermacs, Castlebar has joined with Castlebar Mitchels Hurling Club in sponsoring a Five week Schools Hurling Coaching programme. Coaching will commence on Monday 18th May and run until Friday 19th June. Daily coaching will take place on Wednesday and Friday in St. Patricks NS, Monday in Scoil Raifteri, Thursdays in Snugboro NS and Tuesday in Breaffy NS.